Researchers have identified a possible biomarker for diagnosing CTE during life. Chronic Traumatic Encephalopathy (CTE) is a devastating, degenerative neurological condition that strikes athletes who play contact sports, veterans who’ve seen combat, and domestic violence survivors, among others. CTE can affect anyone whose brain sustains too much trauma, even multiple “mild” concussions—but thus far, there’s no way to diagnose the disease until after death, when it’s too late to treat. New research into a biomarker specific to the disease is providing fresh hope, however. Researchers from Boston University (BU) and the VA Boston Healthcare System (VABHS) have identified a biomarker — a protein called CCL11 — that points to the specific presence of CTE. Since CTE symptoms (confusion, memory loss, speech and language difficulties, and dementia) can cause the disease to be confused with other neurodegenerative conditions, such as Alzheimer’s disease, a specific biomarker would allow an exact, accurate diagnosis despite similarity in symptoms. If the research pans out, doctors will be able to detect the problem in living patients, treat them, and monitor their progress. The protein eotaxin-1 or CCL11 may be the early indicator researchers have been looking for. The protein itself isn’t new to scientists, but the connection with CTE is novel. The link arose from a study of the protein’s presence in spinal fluid and blood of those diagnosed with CTE post-mortem. The researchers found that levels of CCL11 were higher in the diagnosed athletes, and that it increased annually. They also found that this was not true of Alzheimer’s patients or control athletes. The inference is that since the spinal fluid provided similar information to what the post-mortem brain tissue offers, it may be enough to make a diagnosis in living patients. 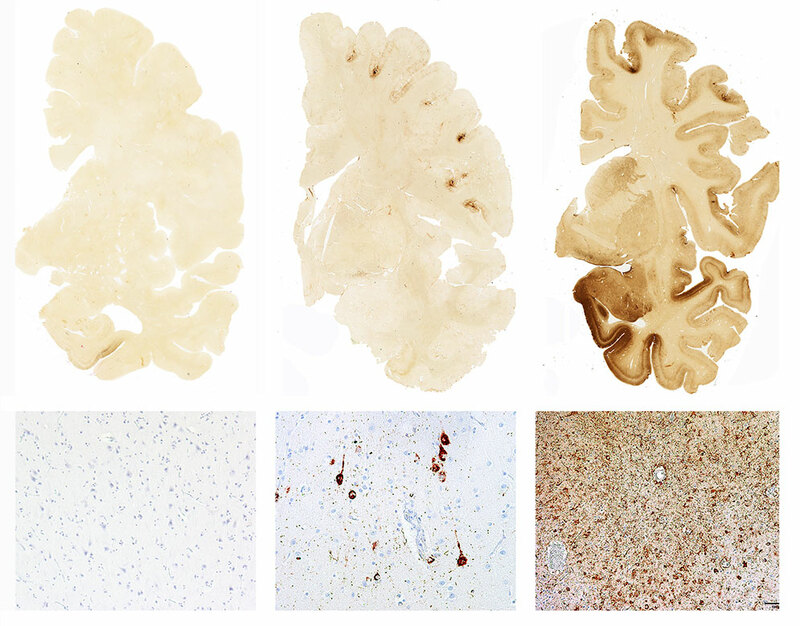 “What’s most likely going to happen is that we’ll end up with a panel of biomarkers — maybe three or four — that will let us diagnose CTE reliably,” BU researcher Jonathan Cherry told BU Today. CTE develops in brains that sustain repeated trauma, as the soft tissues of the brain hit the hard bone of the skull repeatedly. 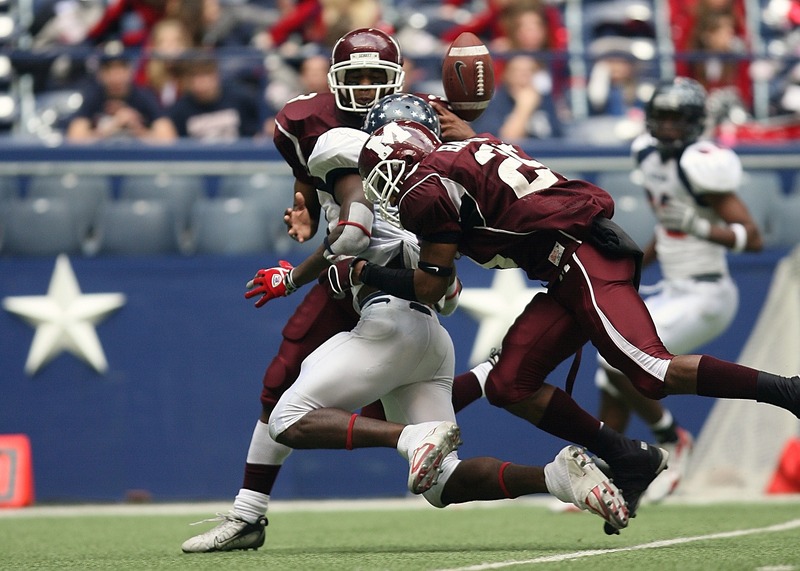 Football players, boxers, and other contact athletes suffer these kinds of hits, as do people subjected to violence under other circumstances. The damage to the brain is caused by clumps defective tau proteins, which kill neurons; it’s a similar process to the progression of Alzheimer’s disease. However, in the case of CTE, the damage itself may be done early in life, while symptoms might not be noticeable for years, or even decades. Symptoms range from impulse control problems and subtle changes in mood in the earlier stages of the disease, to severe cognitive decline, dementia, impaired judgement, and memory loss in later stages. Early intervention and targeted treatments can help slow the disease’s progression and mitigate against the symptoms, but since formal diagnosis of CTE can currently only be made post-mortem, this kind of intervention is rare. There is no way to know exactly how prevalent CTE is among the general population, or even among those populations most likely to have it, given the difficulty in diagnosing it. However, we are currently learning more about the problem. Earlier this year, a study from BU Medical School’s Chronic Traumatic Encephalopathy Center revealed that all but one of 111 brains of NFL players donated for analysis had some form of CTE. Research has also found connections between combat service, traumatic brain injury, CTE, and post traumatic stress disorder among veterans. The ability to identify the presence of the disease early will be a tremendous step in helping those who suffer from it. Prevention is, of course, even better than being able to treat or cure the disease. As we learn more about CTE, one of the results may be enhanced safety equipment and regulations for athletes — a welcome change for anyone who loves sports and cares about athletes. “The whole point is to understand as much as we can from the individuals who’ve fallen, so we can apply it to our future veterans and athletes,” McKee said to BU Today.